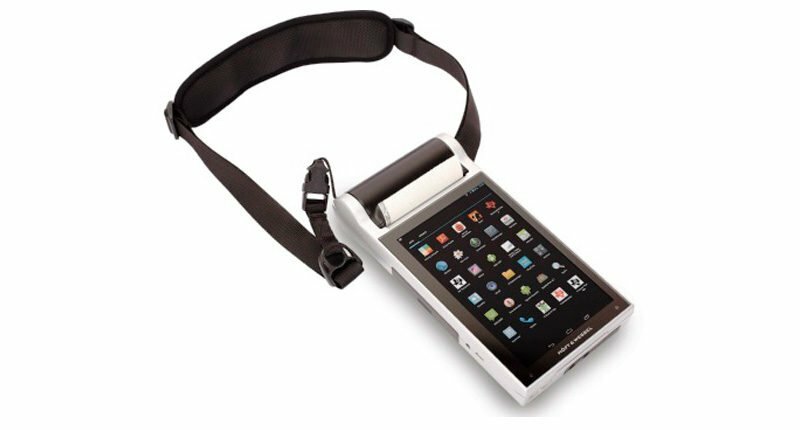 With the new mobile terminal ALMEX MTx all service functions for the traveler are combined in just one handy device. 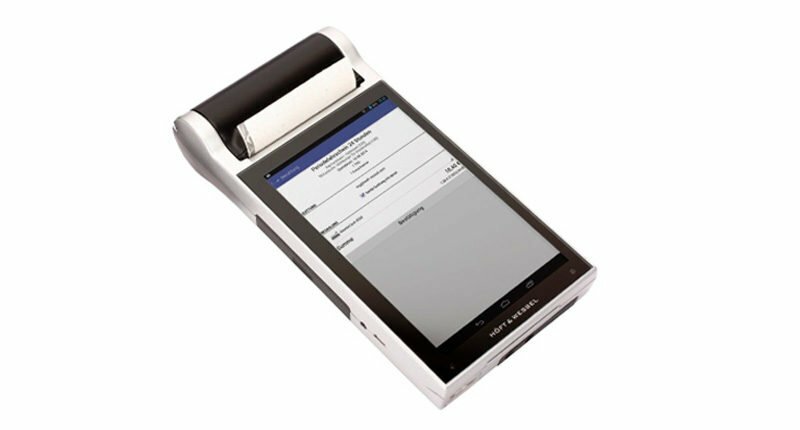 Sales and validation of both e-tickets as well as paper tickets, catering, cashless payment, travel information, wireless communication and instant receipt printing – the new ALMEX mobile POS does all of this and yet is no bigger than a tablet computer. The entire hardware required is integrated in the robust and lightweight magnesium housing: a scanner, a printer with a large print width and a card reader – if desired contact-based, contactless and for magnetic stripes. 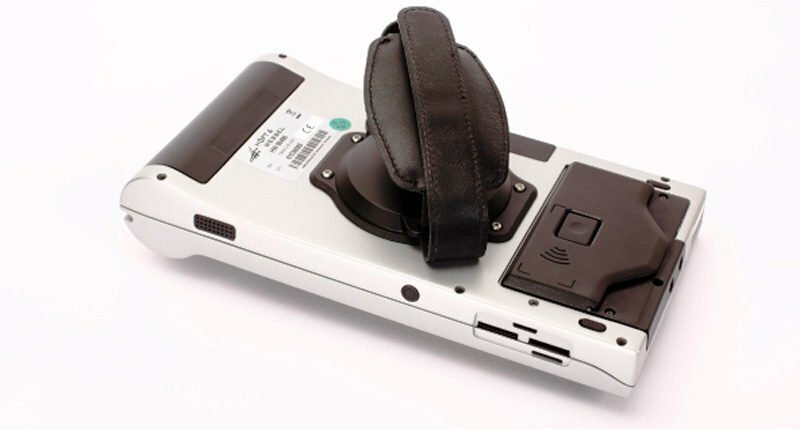 Thanks to the 360 ° rotatable ErgoFlex holder, the ALMEX mobile POS can be safely and ergonomically securined in the hand and, thus, enables flexible and fatigue-free handling. The display can be freely designed in both landscape and portrait orientation and the device is suitable for right and left-handed people. Intuitive operation is achieved via a high-resolution multitouch screen. The powerful lithium-ion battery and intelligent power management ensure a long service life. If the battery is empty, it can be conveniently replaced during operation without any special precautions – and you can continue working right away. The operating system of the new ALMEX mobile POS is based on Android. The open software platform makes it easy to integrate the mobile terminal into existing IT systems. 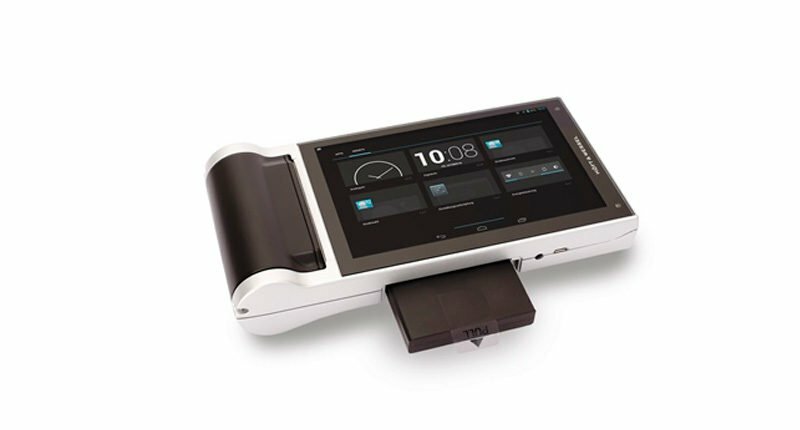 The new ALMEX mobile POS is prepared for the future thanks to its modular platform. Possible technology updates (memory, CPU) guarantee longevity. The new ALMEX mobile POS is part of our solution components for modern ticketing and passenger flow management complementing our stationary systems, back-office solutions and on-board units.